BEAUTIFULLY MAINTAINED & MOVE IN READY! Big Brick Front nestled in the trees on Finished Basement in Apalachee River Club! Stunning Kitchen w/Big Brkfst Area, Hardwood Floors, Beautiful Cabinetry, & Plenty of Counter Space opens to Dramatic Vaulted Family Rm w/FP! Screened Porch off Ktchn is perfect place to Nature Watch! Master includes Trey Ceiling, Crown Molding, Garden Tub, Separate Shower, & Walk In Closet! Big Bedrooms! Spacious Living Rm, Dining Rm! Finished Terrace Basement is ultimate escape w/Den, Rec.Rm, Wet Bar, Extra Space,& storage! Back Deck! Top Schools! Hello, I’m interested in 2674 Misty Rock Cove and would like to take a look around. The details on 2674 Misty Rock Cove: This house located in Apalachee Farms, GA 30019 is currently for sale for $324,900. 2674 Misty Rock Cove is a house with 4 beds and 3.5 baths that has been on Estately for 8 days. 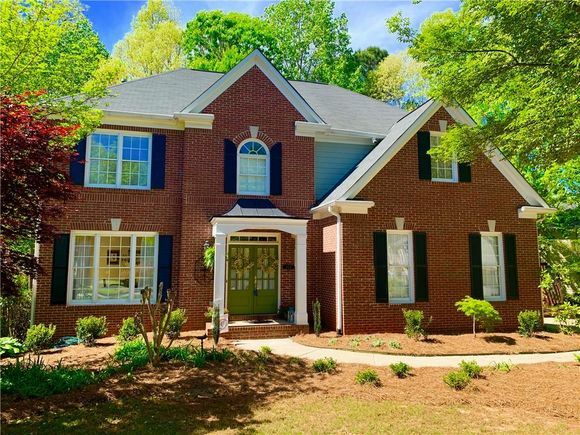 2674 Misty Rock Cove is in the Apalachee Farms neighborhood of Dacula. This house is in the attendance area of Dacula Elementary School, Dacula High School, and Dacula Middle School.